To start off April 2017, we have some exciting new features we just released. If you have any questions or would like more information, reach out to your Customer Success Manager. Do you have a feature you’d like to see in the qTest Platform? You can submit your feature request on our Support Site. JBehave is out latest test automation integration that allows you to consolidate your JBehave tests into qTest Manager. 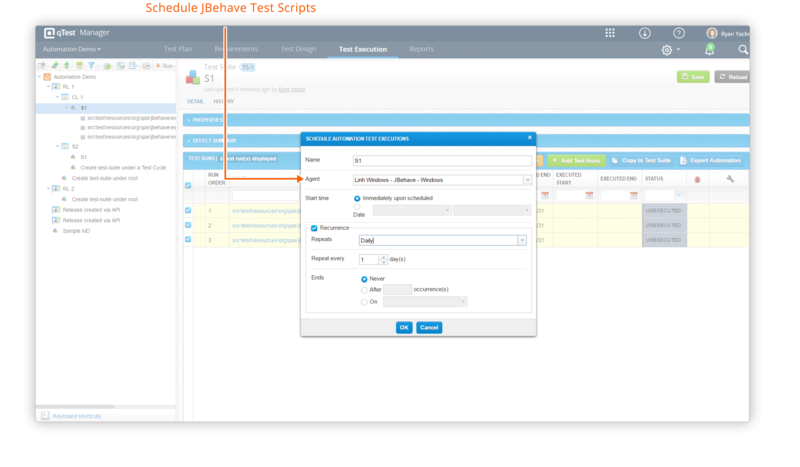 From qTest Manager, you can set your tests to be executed overnight and/or on a recurring schedule. Want to get started with JBehave and qTest Manager? Click the support link to get started. 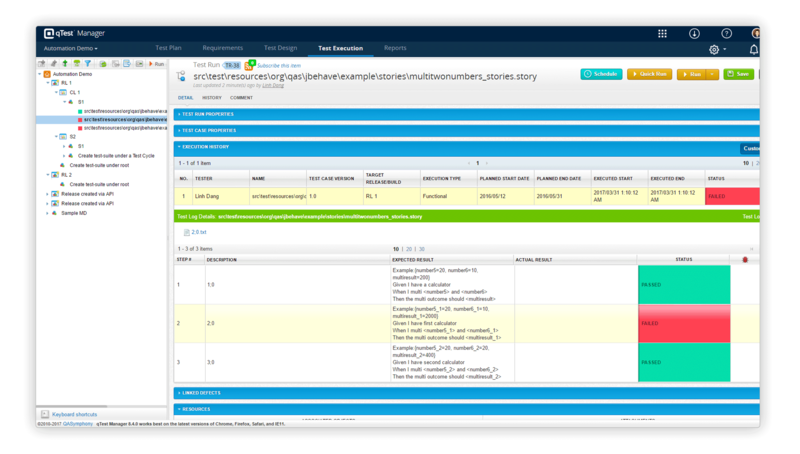 Earlier this year we released the automated script generator for qTest Explorer for help teams accelerate their automated test conversion. Since its inception, we have added support for Protractor and Selenium frameworks including C# and Java. In this latest release, we have just added support for Python that you can see below. For more information on how to get started with qTest Explorer automation, please see watch this video. We have made some great new UI enhancements to the qTest Explorer Session Manager, allowing for faster reviews and more customized file exporting. 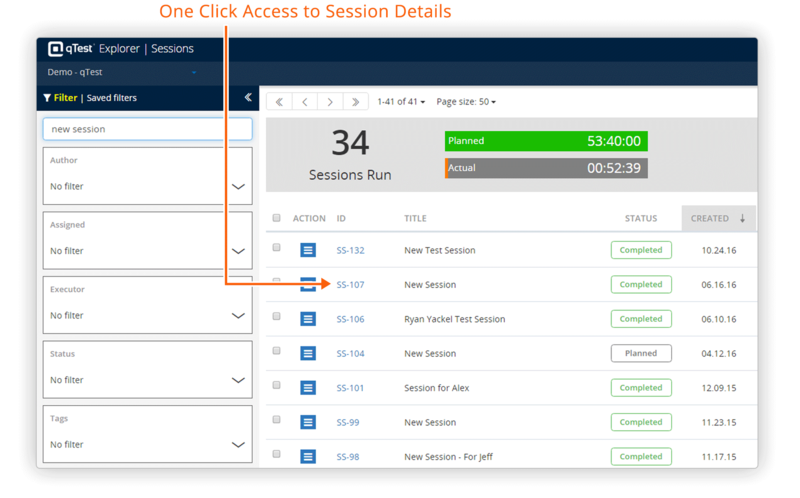 To access your completed Explorer sessions, you simply need to click on the session link ID. This allows you to see all property values, linked objects, environment details and more, in one consolidated view. When exporting the environment details, we now allow you to select the exact information you want before you export. This allows for a cleaner file export and more customization around what the specific data you want to download. At QASymphony, we have a lot going on for our customers. Whether it’s new webinars, product releases, training materials or our Quality Jam conference, there is a ton of stuff we want you to know about. So, we’ve reworked our login page to highlight the latest news and information for you. This will make it easier to stay up-to-date with everything QASymphony has to offer. We hope you enjoy these new qTest features. If you have any questions, please contact your Customer Success Manager.